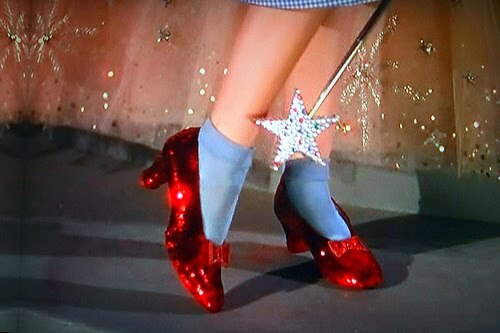 I was watching the last episode of Oprah‘s Life Class and she referenced the scene from the Wizard of Oz where Glenda the Good Witch informed Dorothy that she always had the power within herself to go back home from Kansas. She did not tell her because she would not have believed it then. Now after going through some experience in the land of Oz, she was ready to believe that message. Each of these lesson statements hit my life at different points and lift me when I need it most. It is true that we are the only ones that can change things in our lives. We can start from where we are and then start to make it happen it for us. I think most of us don’t realize that we have the extraordinary ability within us to really make a difference in our lives. We do not need to be passive players in our lives. We can be the drivers. That knowledge alone changes everything. It allows us to not let any circumstance control or define us. Yes, sometimes we may be facing such difficult challenges but we have the power within us to rise above those challenges and make our lives what they should be in this world. It is when our true inner being in all its real purposeful truth reveals itself externally and enriches the world. We have all been born to accomplish wonderful things within whatever sphere of influence we inhabit. We matter because we live, because we are here, because we all have something to contribute. So as we gain the courage to believe, engage the brain to imagine, and the heart to love…remember the power that is there within you. I’m sorry this is so irrelevant but I found a tamales mendioka recipe of your mother on guampdn, however some of the measurement are question marks. Would love to know what are those measurement of milk and coconut juice. Thank you so much! I’m sorry I made a mistake it’s the titiyas manha not the tamales. Jingle Poetry Picnic Welcomes You! A random poem or old poem will do the wonders too. I need to get back into it. Been on vacay. Enjoying a new love in my life. Been distracted from writing…Let me get inspired and see what I can contribute.